Fun little project. I wanted to emulate the art style of the cave paintings found in Europe, but with a little TSHolden flair. I'll probably try it again soon, it was fun. 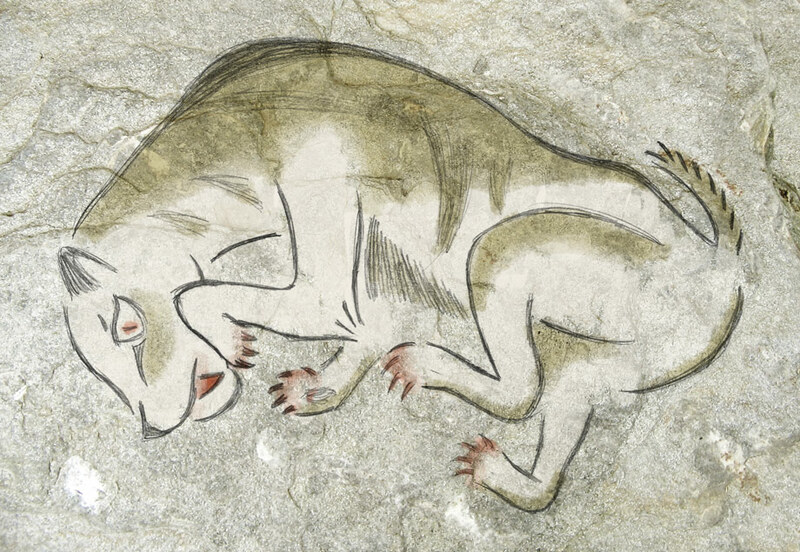 The "painting" is of a Homotherium, a type of cat that hunted in packs during the Younger Dryas period. Scary stuff, but strangely adorable when properly rendered with fur. Made with pen, a sheet of blank paper, Epson scanner, and Adobe Photoshop CS3. Oh, and a rock. Granite, I think.